The dreaded part of every new year has arrived, and it is called Tax Season! It is not uncommon for business owners, even those with the best record keeping in place, to be recipient of some unexpected surprises when it comes time to send in their taxes. Tax Reform Legislation was passed in December of 2017. 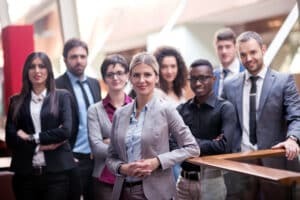 The IRS has published some of the changes that may affect self-employed individuals as well as the bottom line for many small business owners. It is important to be aware of these changes when filing your 2018 business tax returns. Owner’s of sole proprietorships, partnerships, trusts and S corporations may deduct 20% of their qualified business income (Section 199A qualified business deduction) for the first time on their 2018 returns. For more information on this deduction see REG-107892-18 at www.irs.gov. Business assets with a recovery period of 20 years or less generally qualify. Some real property such as office equipment, machinery, furniture and appliances may also apply. Deductions for transportation fringe benefits has been disallowed, as well as benefits associated with commuting. The exception is made when these benefits are in place as a necessity for safety. · Moving Expenses. Moving expenses reimbursed by an employer to an employee are now taxable. Moving expenses for years prior to 2018 are exempt. Payments made by employers to a moving companies in 2018 for a prior year, are also exempt. Employee Awards/gifts. Employee awards considered tangible personal property may be excluded from wages. Some of these may be deducted by the employer, subject to New definition of tangible personal property is not inclusive of cash, gift cards or cash equivalents, event tickets, stocks, meals and other like items. For a complete explanation, specifics and FAQ’s go to www.irs.gov. Any aspect of the Tax Reform may affect your business. Many business owners experience a cash deficit when they have to put available funds toward taxes. American Receivable is here to help! Business owners can sell their outstanding invoices to American Receivable for immediate funding, eliminating a slow- down in business due to lack of cash. Cash is vital for any business to flourish as expenses such as payroll, rent, and other operational costs have to be met. The ability to obtain cash for invoices allows the business owner to put funds where they feel they are most needed to keep their business on track and growing. Call American Receivable today and let us help you survive tax season! What is the #1 asset in your business? Your customers, of course! They provide the revenue that keeps your business afloat and enables growth. Without your customers, you would not be in business. Who does not like to feel familiar and appreciated? People in general like to be acknowledged and made to feel that they matter. The same goes for business. Getting to know your customers personally and showing interest in their business will make them more likely to stay with you. Personal attention is crucial and will result in referrals to other prospective customers. People who know your business and hold you in high regard are the best referrals. Building a customer focused business is easy. Focus on the customer, first. 1. Get acquainted with your customer and learn about their business. Understand their needs and show them how you can offer support. 2. Be accessible. When customers call, they want immediate answers A customer focused business will have someone answering the phone and directing them to the appropriate person to solve any issues or handle other needs. Lack of accessibility will result in the customer moving their business to your competitors. 3. Listen and understand questions and concerns. Show them you are interested in them and their business and finding solutions for their issues. 4. Do them a favor. Customers will often call with a critical request that may be against normal protocol. Don’t make it a habit, but accommodate them when the request is feasible. Be clear that this is not usually something you do, but that you want to help and will make an exception this time. Accommodating them will show them that you really are focused on their needs. Remember, the success of your business is a result of your customer’s success. American Receivable Corporation considers it’s business relationships within the financial community to be one of its greatest assets. 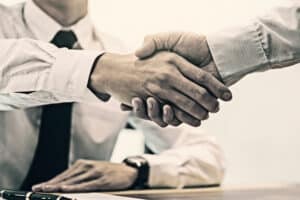 American Receivable’s partnerships within the banking community and with professional CPA’s spans over 39 years These relationships have been mutually beneficial to us, the bankers and CPAs as well as our factoring clients. 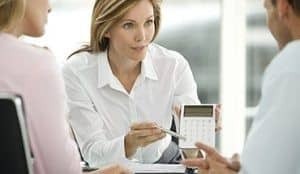 No matter what type of business, it is important to have good financial advisors. Commercial lenders help clients manage accounts within the bank and review projected capital requirements. A well-respected CPA will help manage taxes, cash flow, and other financial challenges. These relationships give American Receivable the ability to match clients with the right financial professionals. Commercial lenders often send us clients that do not meet the federal banking criteria for business loans. When this happens, the lender will contact American Receivable Corporation. We work with the client to find the best solution for their cash flow needs and their specific business. In turn, we recommend they keep their accounts with the lender that sent them to us. At the point they qualify for a traditional business loan and wish to go that route, they already have a lender familiar with their business and their challenges. CPA’s managing business accounts often call us when they see cash flow needs for their client. We work closely with the CPA and the client to ensure the best solution for their specific needs. The CPA continues to handle accounting for the growing business and catch any cash related problems early. American Receivable is proud of our long term relationships in the industry. These relationships allow us to work together for our clients. We consider our clients based on the credibility of their customers, not on their personal credit. American Receivable is able to work around many of the criteria that are required in traditional business lending. Our clients are always our first priority. At American Receivable we pride ourselves on our exceptional customer service and dedicated and tenured account managers. We can provide funding within as little as 24 hours in some cases. The success of our clients is the success of American Receivable. American Receivable Corporation is now offering special rates for Houston. American Receivable is Texas Proud and is currently offering special rates to businesses in Houston needing capital to recover from Hurricane Harvey. While there is so much that still needs to be done, some of these businesses could be of great value to that effort. Houston business owners have been extremely generous in efforts to help the citizens of Houston persevere through this catastrophe. American Receivable would like to offer these special rates for Houston businesses needing quick access to capital to rebuild or continue operations. The world has seen what a great state Texas is and how everyone has come together. Texas has proven that whether you were born in Texas or somehow ended up here, we are all working toward the same goal. Call us today and let us help Houston recover and rebuild. Nothing is too big for Texas or American Receivable. Factoring has been around in some form or another for centuries, yet it is still a relatively untapped source of finance for many businesses. In fact, invoice factoring is typically a small part of the curriculum in many university finance departments. Let’s take a look at the history and evolution of the world of factoring. The principal of factoring began sometime during the Mesopotamian Era around 1772 BC. 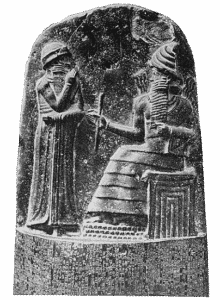 It is believed that the rules for factoring or financing of trade was laid out in the Babylonian law code called The Code of Hammurabi, one of the oldest deciphered writings of significant length in the world. This alludes that factoring was used as a source of cash flow for businesses in England prior to the 1400’s. In the early 1300’s and into the 1400’s, factoring was predominantly used by clothing merchants and traders. The “factor” would take possession of the physical good and provide cash advances to the merchant. The “factor” would then extend the financed credit to the buyers and insured the credit strength of the buyer. In the early 1600’s, factoring reached the Americas and colonist took quickly to the idea of factoring as they needed advances on the raw materials they were shipping to across the Atlantic to England. When the Industrial Revolution began, non-recourse factoring became a popular option for clients who were creditworthy. As the United States neared the early 20th century, the garment and textile industry brought factoring full circle as they utilized factoring as an avenue to continue to purchase raw materials. Factoring continued to take shape throughout the 1900’s as small businesses who were not eligible for bank loans needed funding. In the 1940’s, banks in the United States began offering factoring services as the need for factoring had boomed in the textile and manufacturing industries. During this time, banks and “factors” were now purchasing a company’s invoices or receivables rather than taking possession of the physical goods. This idea transformed the industry into what it is referred to as today, invoice factoring or receivables factoring. The factoring industry continued to gain popularity in all business industries. When the savings & loans crisis began to heat up in the 1980’s, banks were in need of assistance with their customers and turned to factors for assistance. In the early 2000’s the U.S. economy plunged increasing the use of factoring companies as businesses were struggling to stay afloat. Over many centuries, invoice factoring has been a means of financing for many businesses. As the economy continues to grow and new businesses emerge, the factoring industry will continue to be a source of financial support for centuries to come. It is a pleasure to write this testimonial for American Receivable. I’ve been associated with the company for over 20 years. They assisted me in the initial start-up of Systems Source, Inc. in 1995 and have stood by me the entire time I’ve been in business, both the good times and the bad. Jack and Brad have truly been business partners. The true test of a partner comes when there is a crisis and you are fighting your way back. When other lenders would discontinue service, Jack and Brad listen, understand and assist you in working through the problem. They are with you all the way. American Receivable is not just a lender, they are your partner. If other companies seem to offer a better deal, believe me, it’s not. You are not just an account with Jack and Brad. You have access to the decision makers, who are interested in your success. Philip Eichelberger, President Systems Source, Inc.